A homeschoool co-operative based in Thomaston has been working with NBYT Teaching Artists over the past few months to study dramatic works of literature. In two past workshops focusing on Shakespeare’s Twelfth Night and Aristophanes’ The Birds, students have learned about the playwrights, their dramatic style and use of language, the historic setting in which they wrote, and the plot and characters of the play—they’ve even gotten up on their feet and performed scenes from each play. The next workshop in this series will focus on Shakespeare’s A Midsummer Night’s Dream, and it’s now being opened to all homeschoolers. 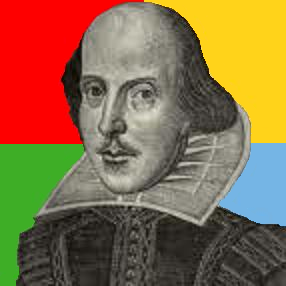 In the three-hour workshop for ages 10 through 18, students will explore language, characters and themes while focusing on Shakespeare’s popular comedy, A Midsummer Night’s Dream. The workshop will place special emphasis on the poetry and precision of the text, the emotional lives of the characters, and the structure and context of the plot, all culminating in an opportunity for students to perform scenes for the class. Study guides will also be provided to all who register. This workshop will be held on Friday, June 8, from 1:00 to 4:00 p.m. (and will include some time for a snack break). The location is the Thomaston Public Library at 148 Main Street in Thomaston. The cost per student is $20. To register or ask for more information, call 860-515-8115. If you’re interested, but can’t make it to this workshop, let us know too. If there’s enough interest, we may offer more workshops like this in both Thomaston and New Britain in the fall. Next Next post: Auditions Scheduled for SEUSSICAL JR.